scholars of Jane Austen's world, in Oxford and beyond. 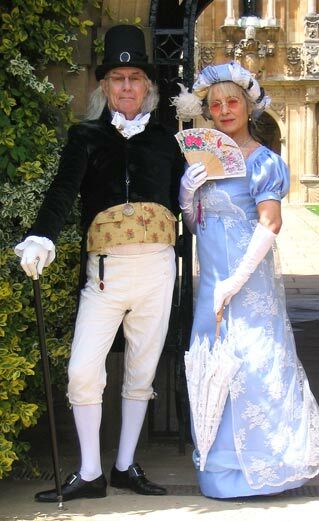 We come together to discuss the life, times and works of the author, to visit places important in her life - sometimes to dress in Regency finery, and to perform her music and dances! 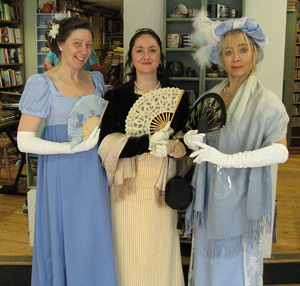 The group meets or goes on expeditions every couple of months, having been founded in October 2009 as Oxford's first and only Jane Austen group for many decades. The Austen family had links to the city and University of Oxford: we are researching Jane's schooling here, and the family's association with Brasenose and St John's College. We also have strong interest in the music of the period, and the historical aspects of domestic performance: Jane pulled together a large corpus of contemporary and traditional works, adding her own embellishments and arrangements for performing them at home. The group now has a Facebook page, should you care to indulge in such modernistic diversions - and maybe you'll find more news updates on that page than on this primary website. Find it here. Jane is in the UK news again this morning, with a block having been placed on the export of a ring, known to have been owned by her, and purchased by Kelly Clarkson. Poor Jane didn't earn a lot of this stuff during her lifetime, but it's nice to see that the Bank of England have today confirmed that Jane Austen will appear on the new UK Ten Pound note! Find out about it on the BBC website. Pride & Prejudice - an adaptation for the stage is performed at Trinity College grounds in Oxford, July 2013. A brief review! April 2013 - It is unlikely to surprise any readers of this website, but a recent survey of teachers in the UK puts 'Pride and Prejucice' at the top of the list for novels, or books of any kind! November 4th - The splendid archaeologist Dr Finkel of the British Museum, unexpectedly chooses a portrait of Jane Austen for the Radio4 'Museum of Curiosity' programme - listen again here. 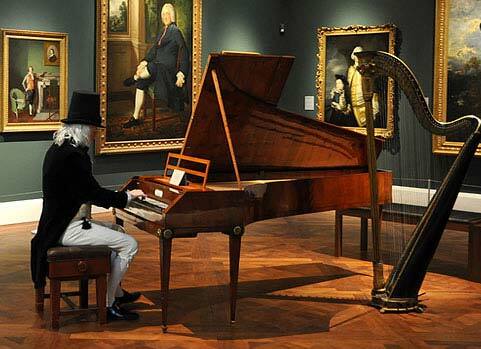 Frank Underwood got to play the fine fortepianos at Bath's Holburne Museum, during the Jane Austen Festival this September, just as last year - very many thanks to Beate Muller for some excellent photographs of the event, and this YouTube video!